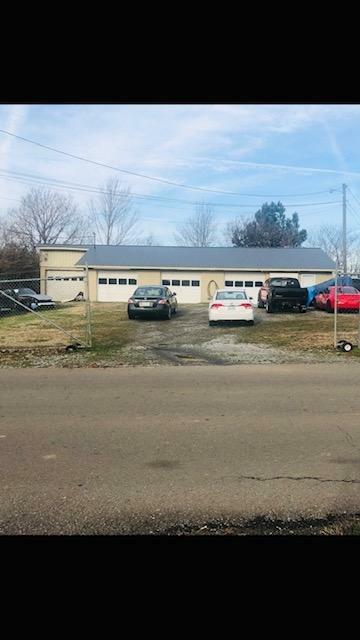 Three Car Garage plus one Single Garage with 650 sq.ft. studio apartment, living room, kitchen, and full bath. Six-foot chain link fence completely surrounds property! Great building for Wrecker Service, Auto Body, Cabinet Shop, Bail Bondsman. Kitchen includes microwave, stove, refrigerator. Listing provided courtesy of Lori Mckay of Bender Realty.